Christmas is here! It is a day for family and for celebration. It is one of my favorite days of the year. It is an especially happy holiday for us because all four generations of our family will share it together. During Meg and Jake’s two-week visit, Christmas begins like every other day. Feeding three hungry dogs! But immediately after breakfast, we opened their collective sock. 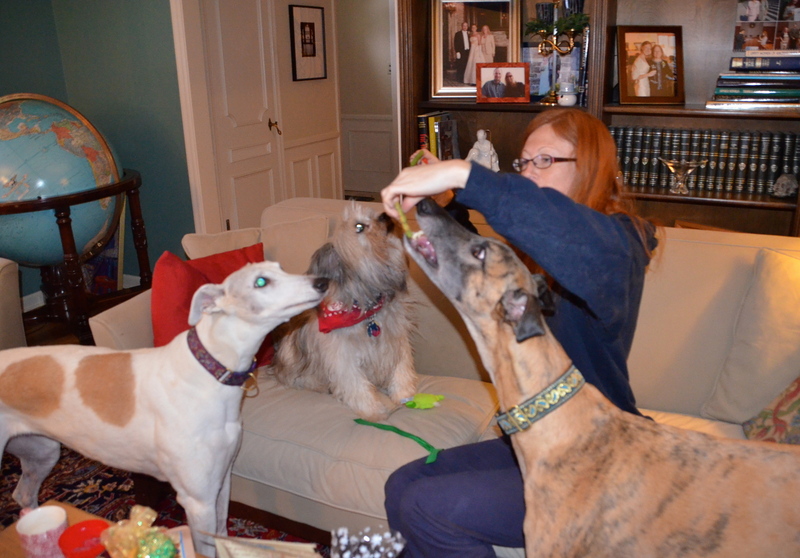 They were excited by the smell of doggie treats and each received an individual toy. Of course the toys immediately moved from dog to dog as they picked the toy that fit their unique canine personalities. The rest of the day is for human family. We are really excited about seeing everyone, including meeting Parker, the one member of the family we have not yet had the pleasure of meeting. We hope your day is as joyful as ours. Have a truly wonderful Christmas holiday! 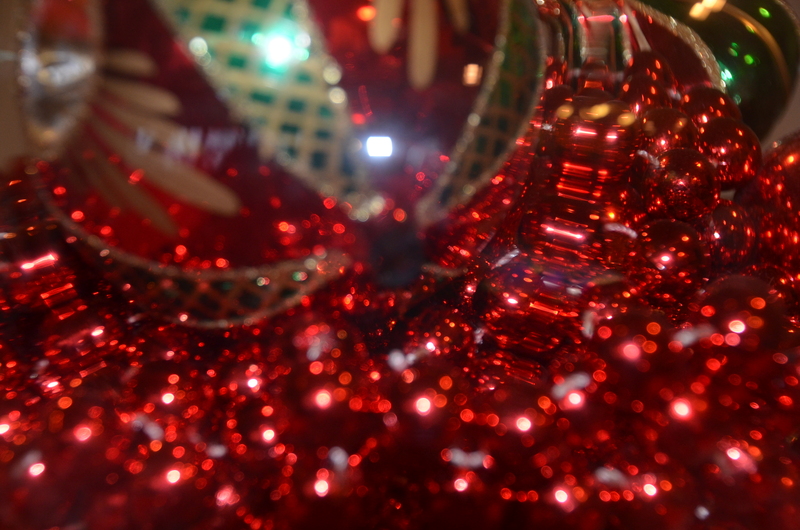 This entry was posted in Community, Photography and tagged celebrate, Christmas, dogs, family, holiday, Joy. Bookmark the permalink. Sis, thank you for making my Christmas Day as joyful as yours. It was th best!